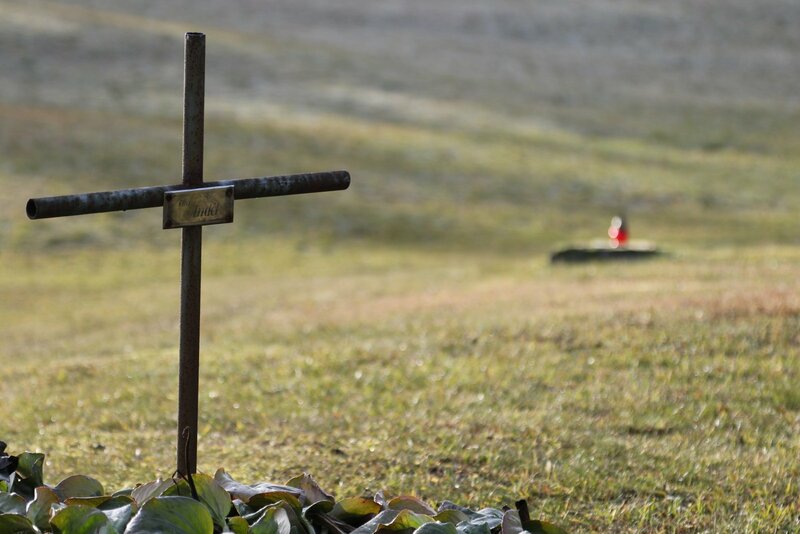 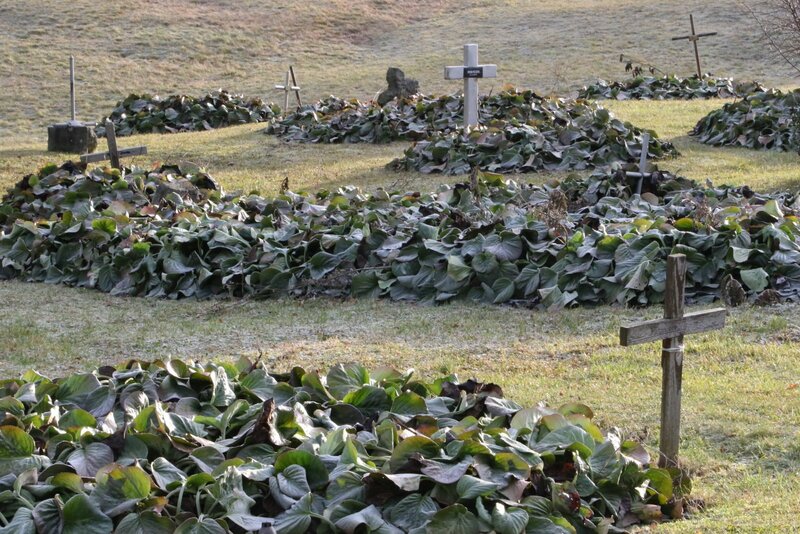 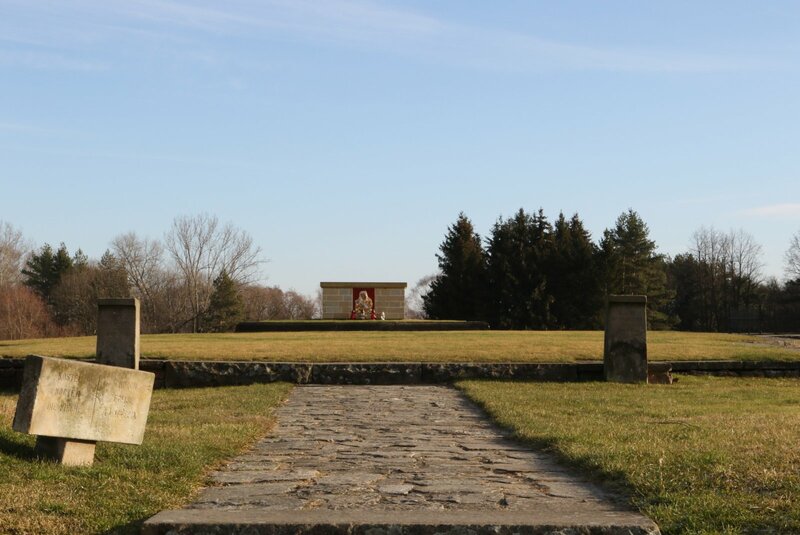 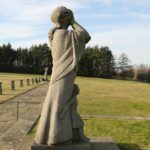 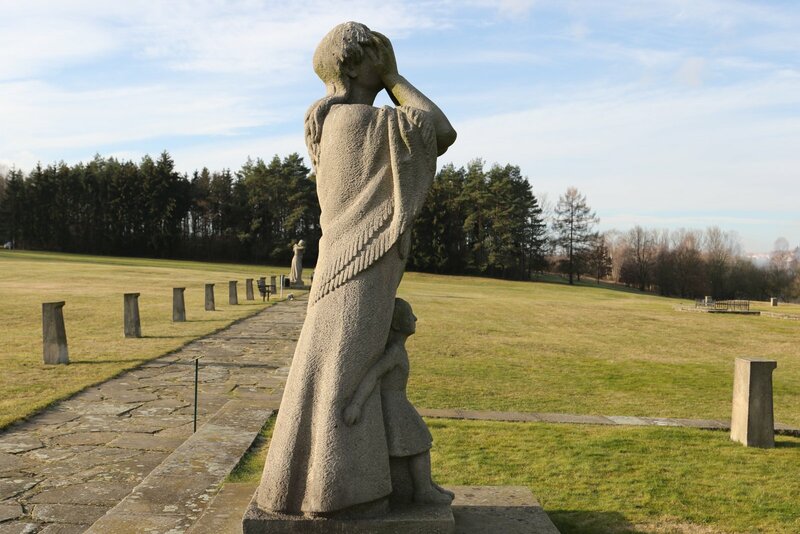 The Lidice Memorial is one of the places that are listed in the places within 90 minutes away from Prague. 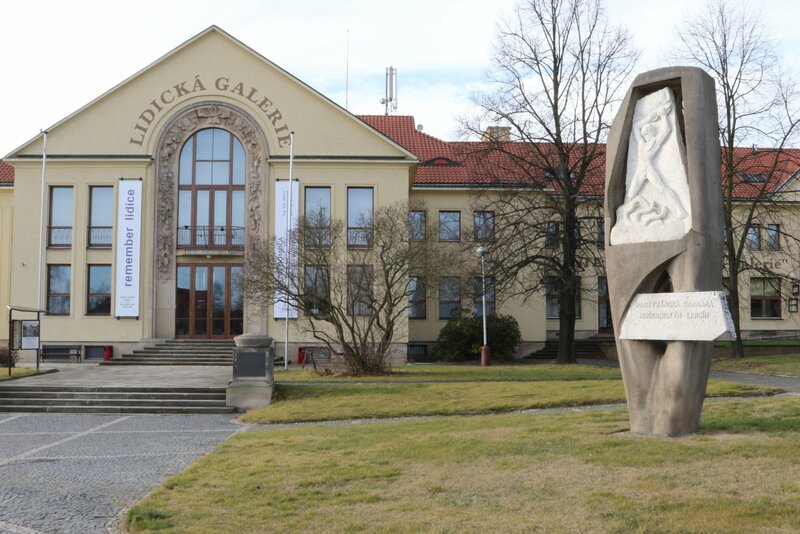 It is number 19 in the list. 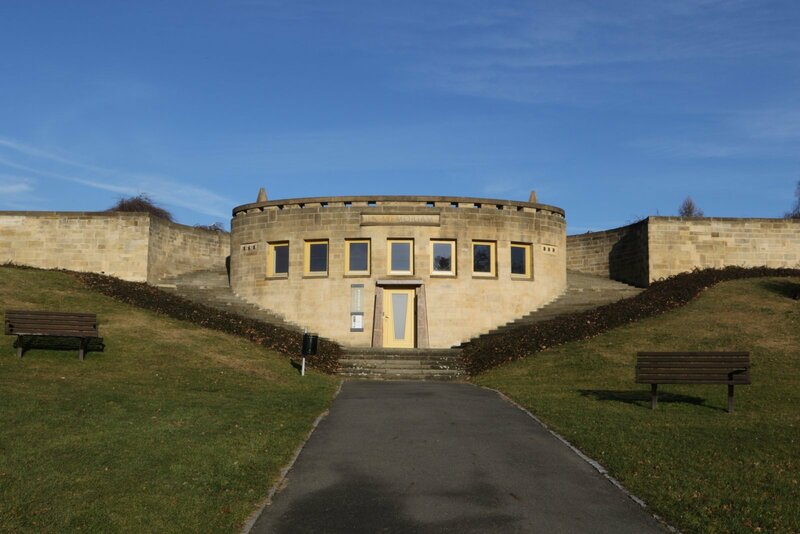 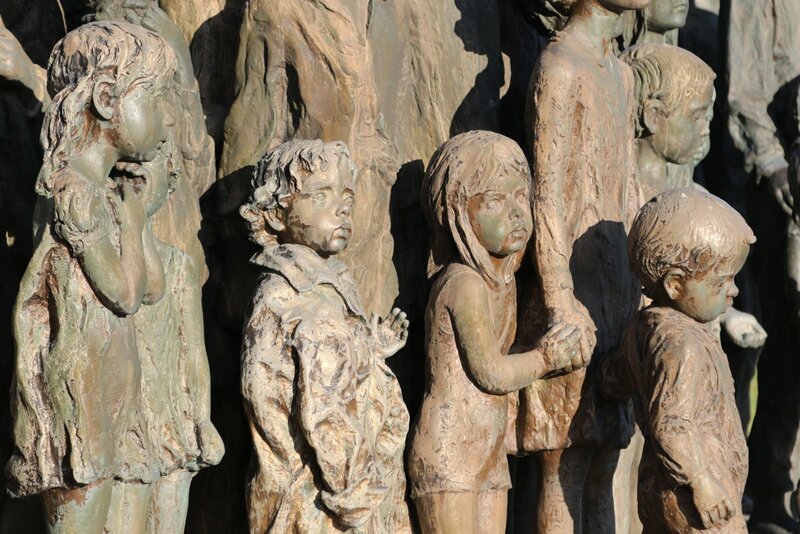 All details about admission and history of the Lidice Memorial can be found at the official website. 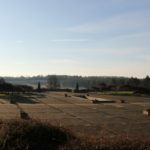 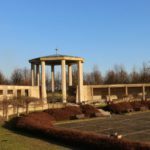 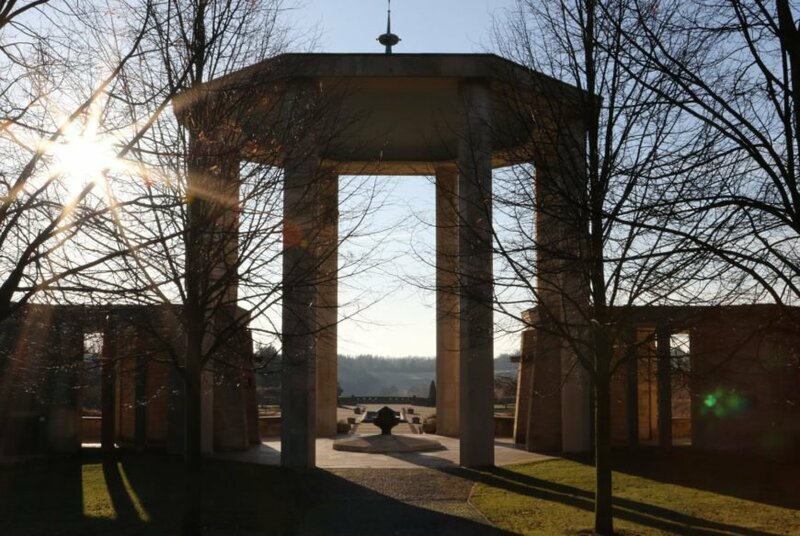 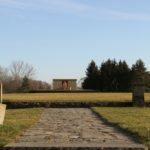 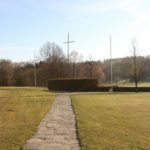 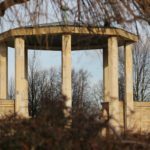 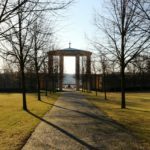 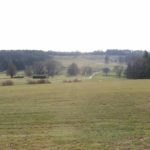 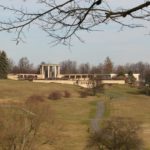 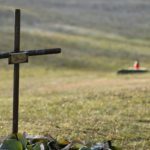 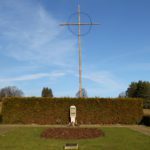 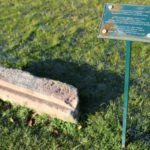 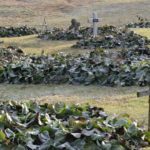 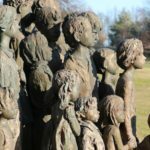 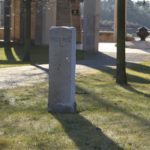 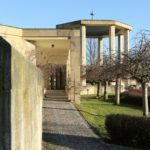 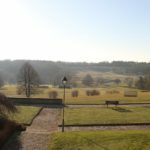 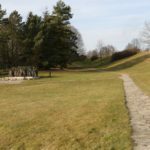 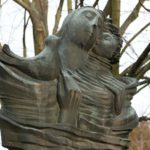 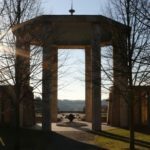 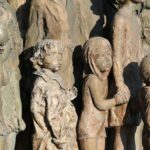 How to get from Prague to Lidice and the Memorial? 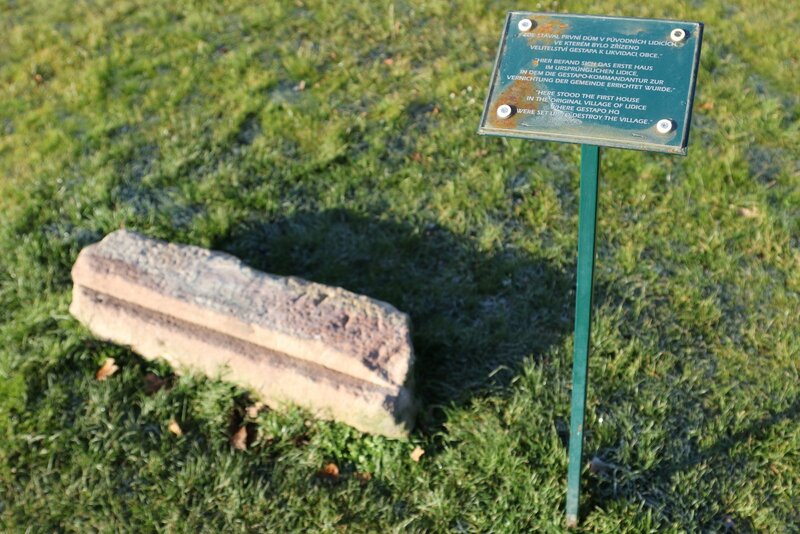 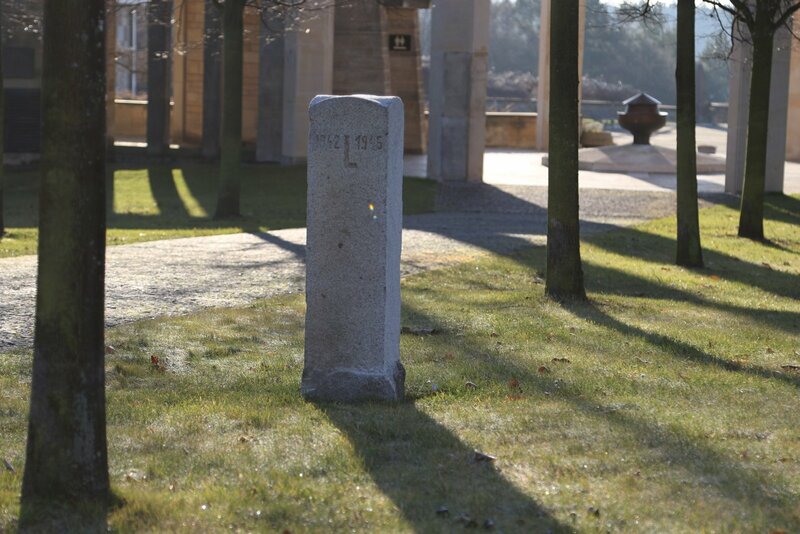 Piece of stone to remember the place, where one of the Gestapo houses stood. 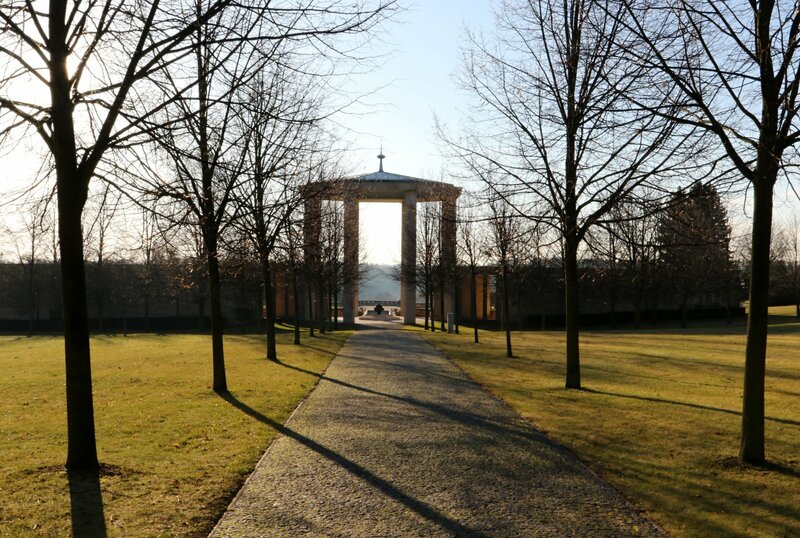 The walk through the reverent area takes about 20 minutes each way, if you plan to do pictures, prepare to spend about an hour. 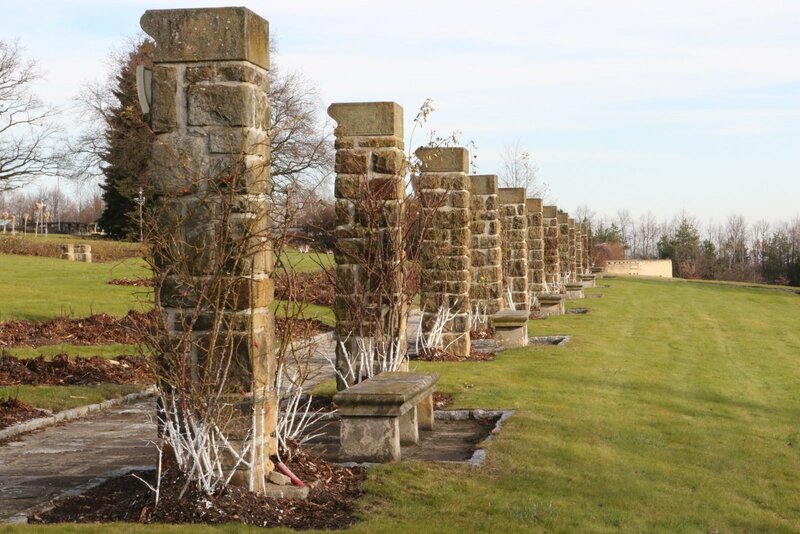 On they way back to the parking or bus, you can take left turn near the In Memoriam gallery and come to the Rose Gardens. 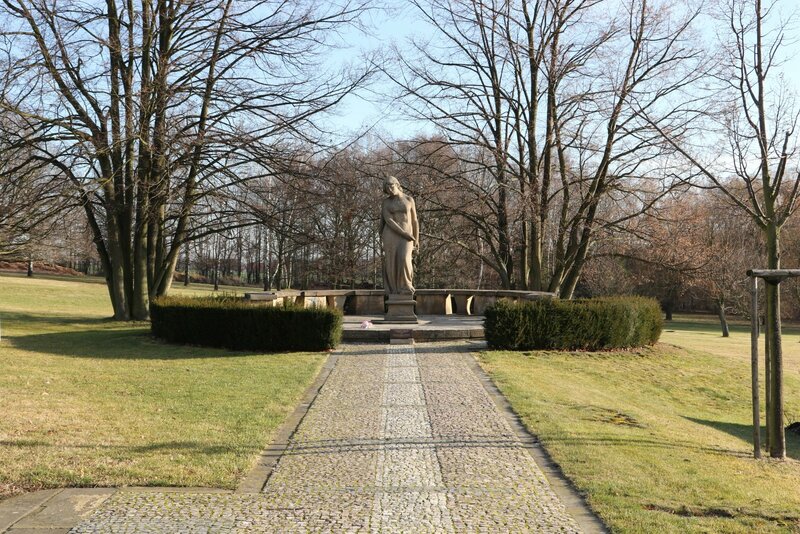 Beside the peaceful area decorated with rose flowers you can see the Statue of Peace and the monument to all cities that were destroyed during the World War II. 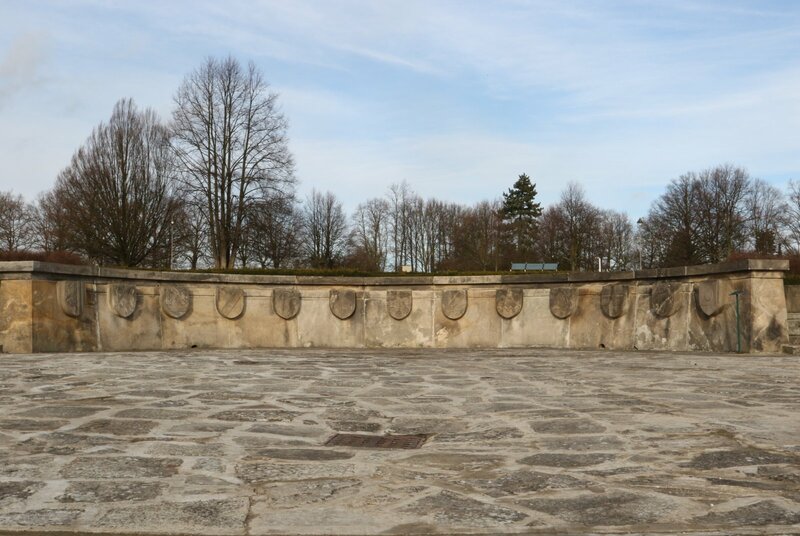 Each sign is dedicated to the city destroyed during the WWII, the city name is displayed along with the name of the state it belonged too. 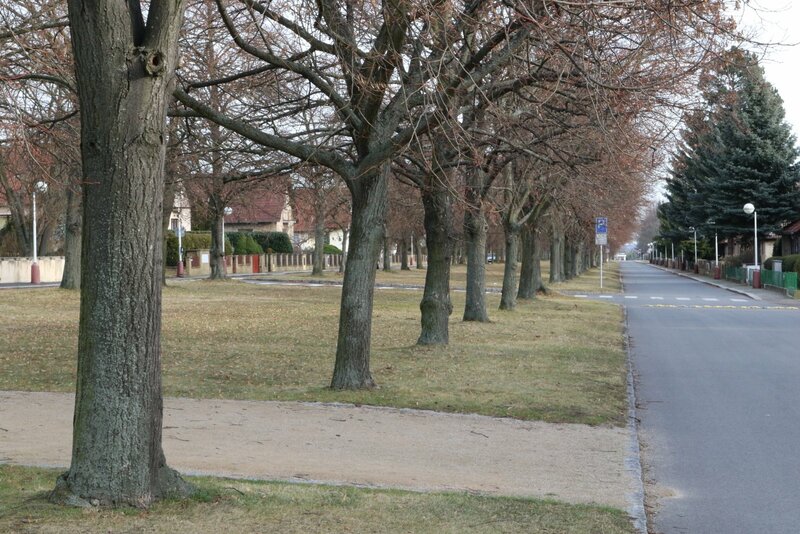 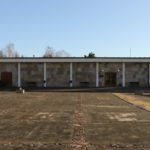 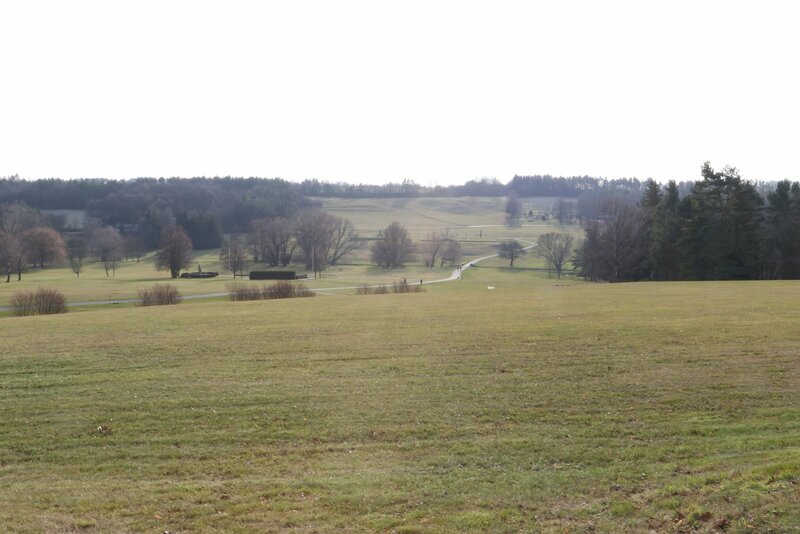 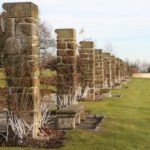 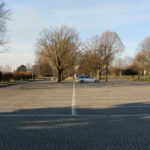 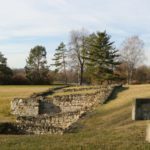 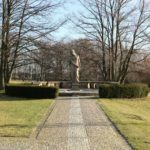 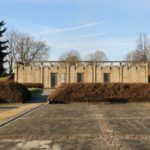 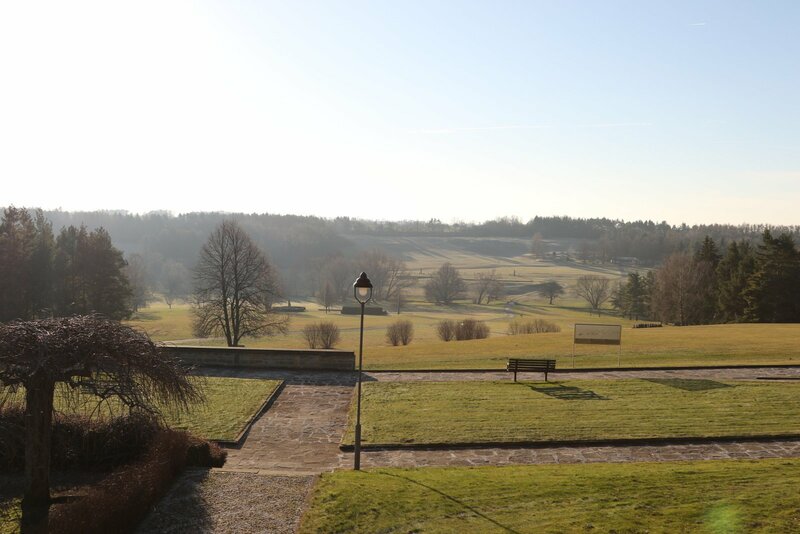 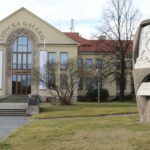 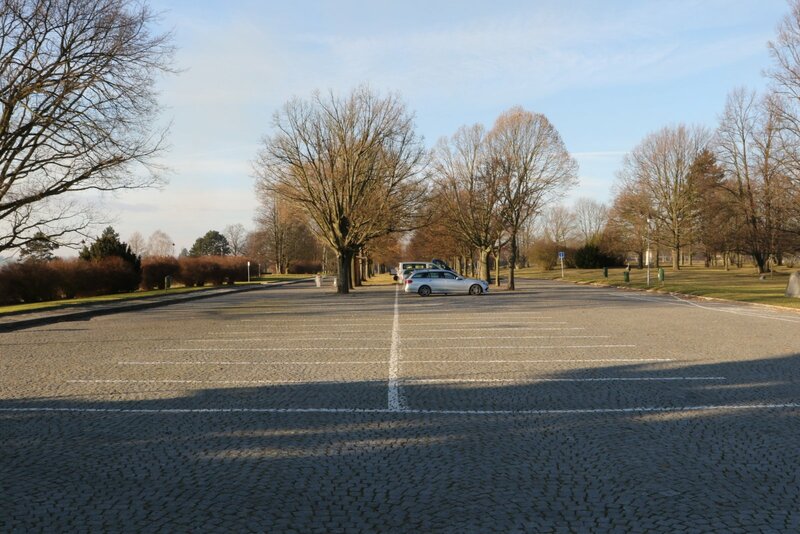 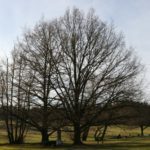 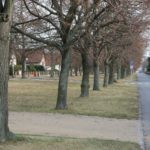 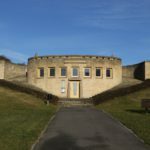 Not too far from the Rose Gardens is the parking lot and the tree alley leading to the new village of Lidice, where you can find the Lidice Art Gallery and the House number 116. 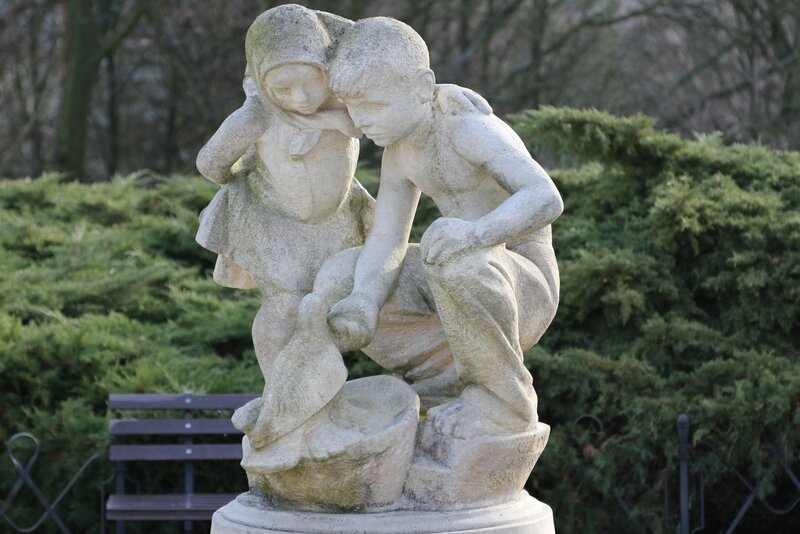 In the park there is a statue by David Revantzi. 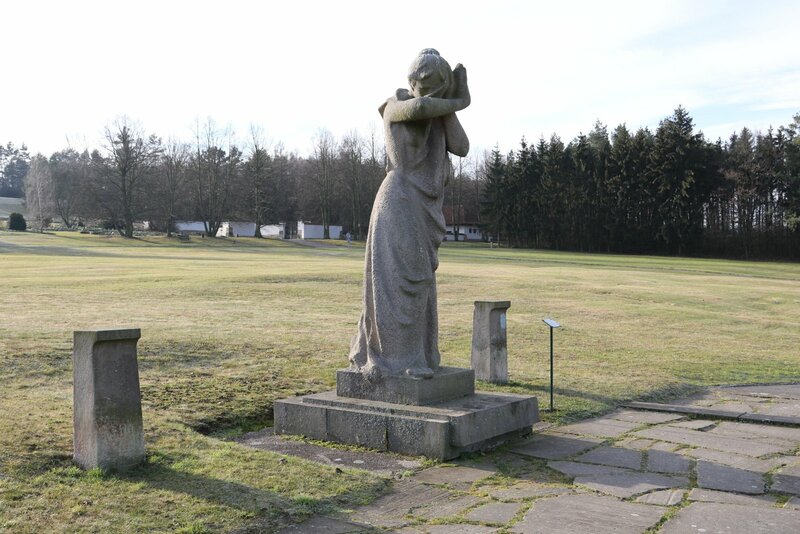 And that is end of the Lidice Memorial tour in pictures. 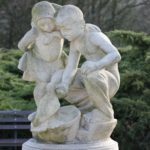 You can find a lot more pictures on the Flickr. 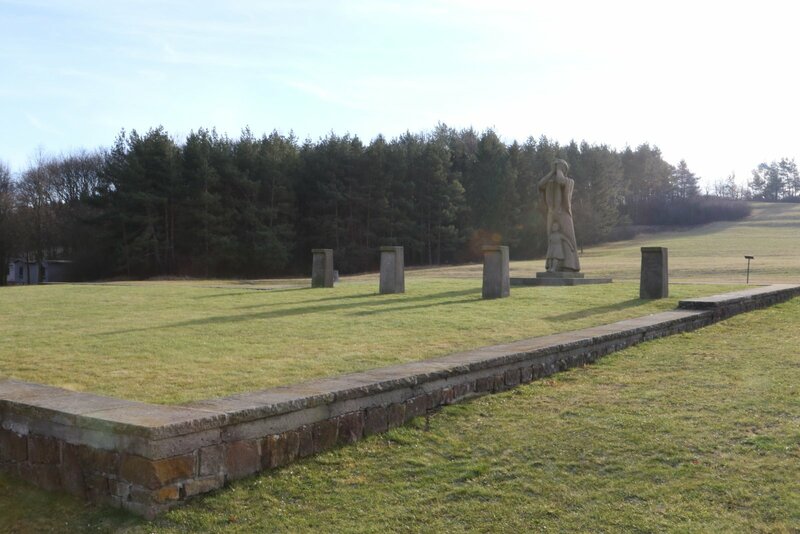 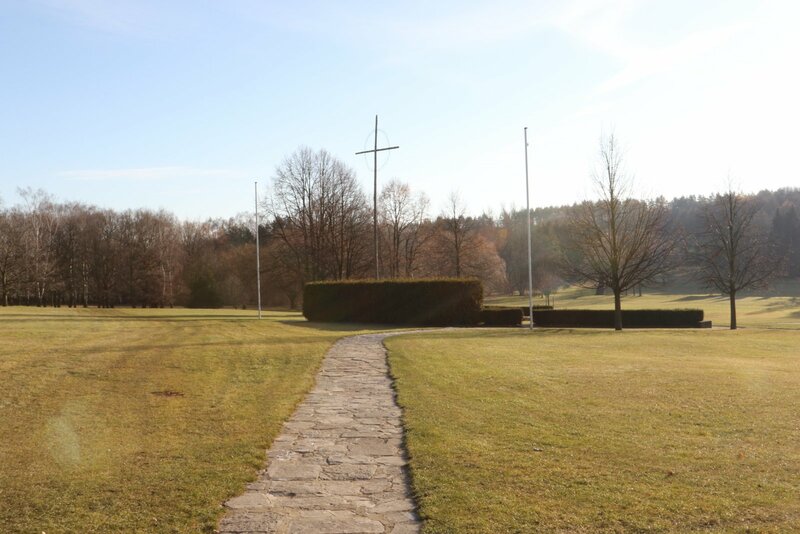 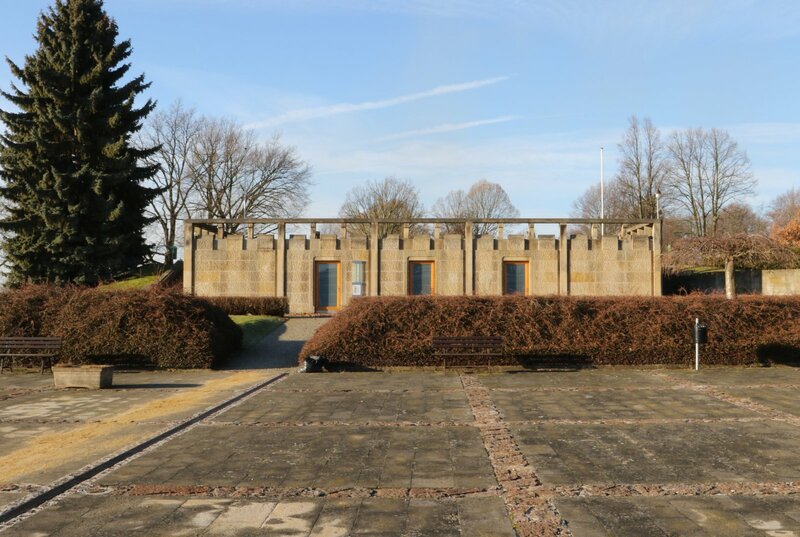 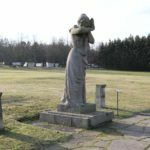 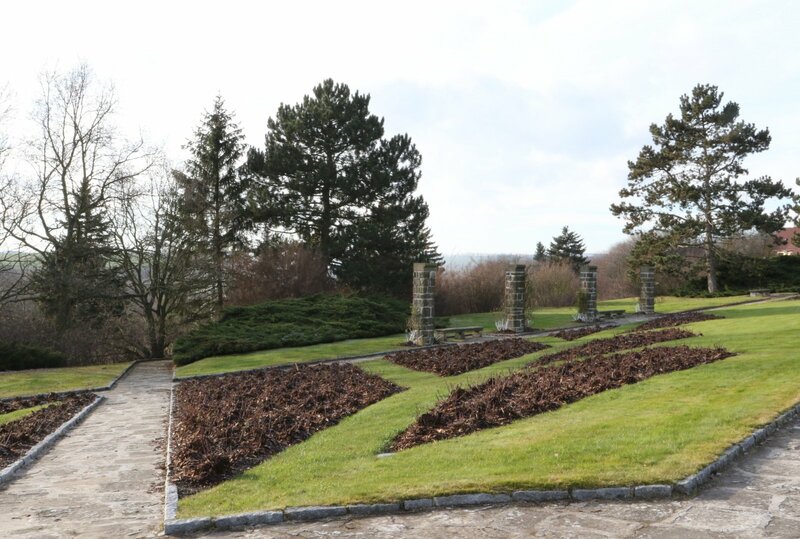 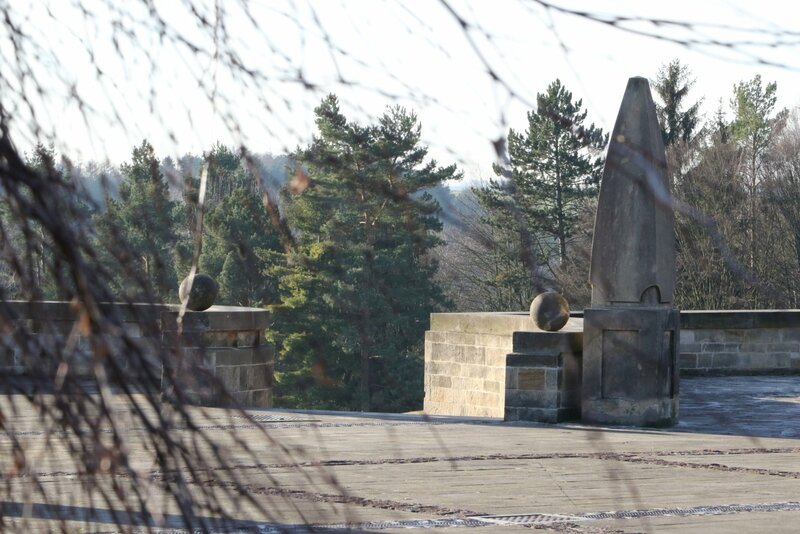 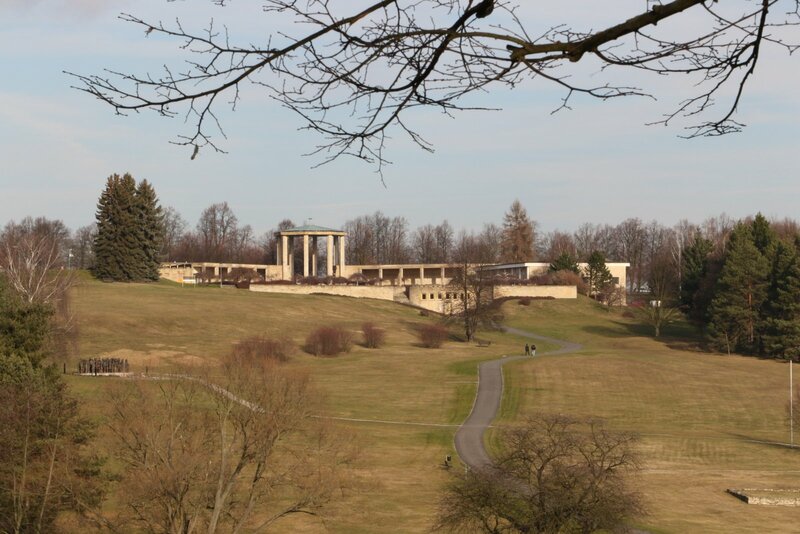 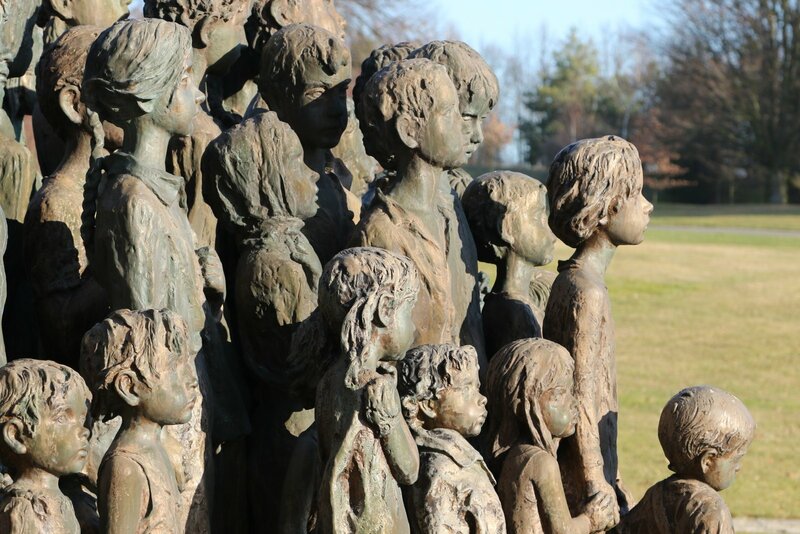 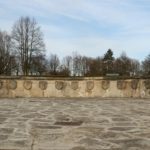 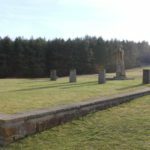 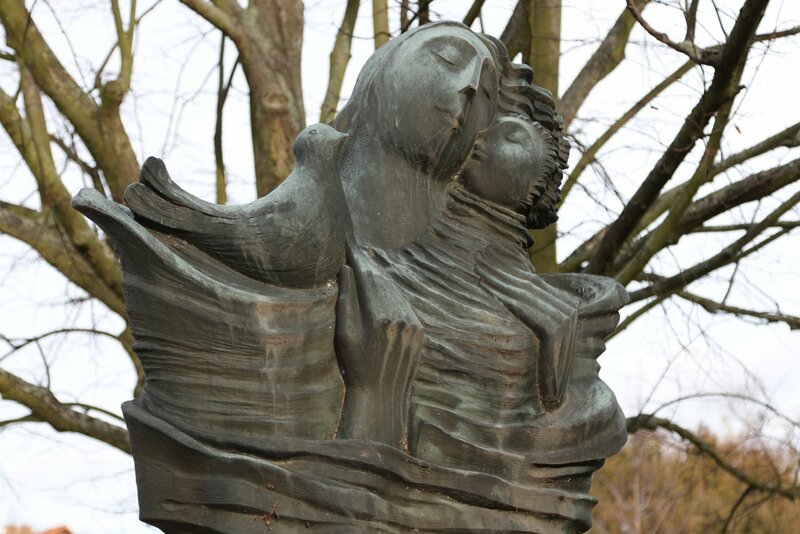 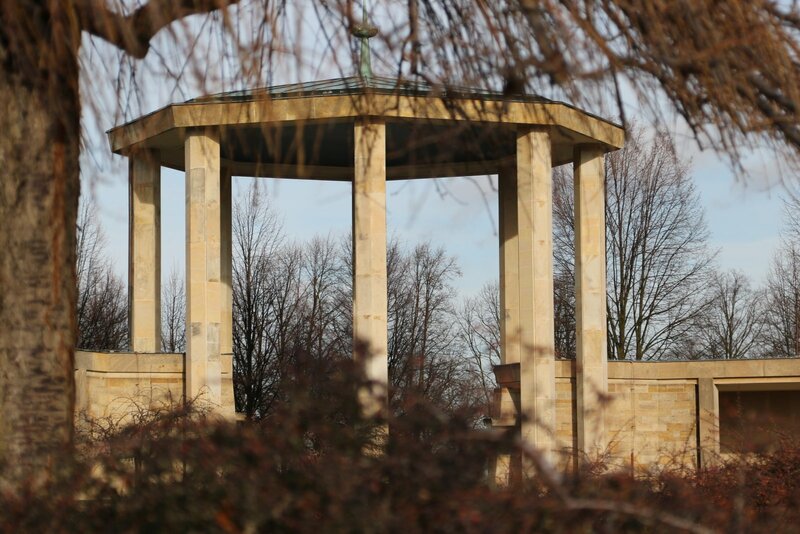 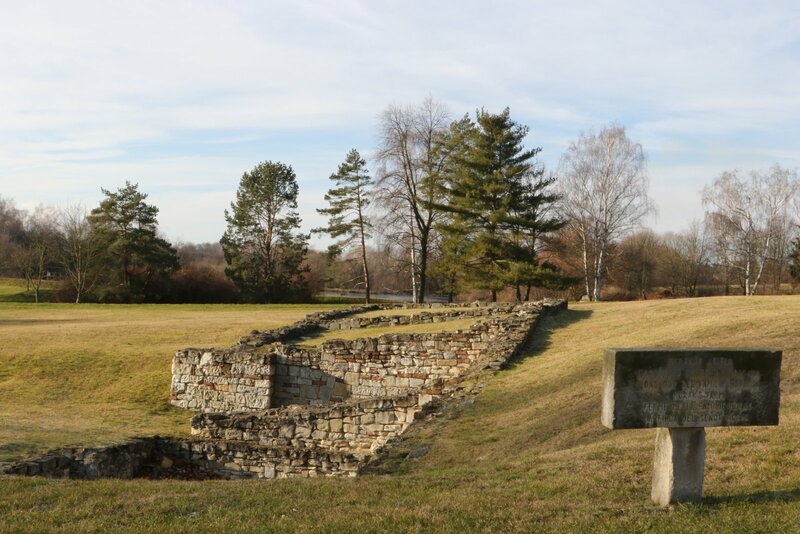 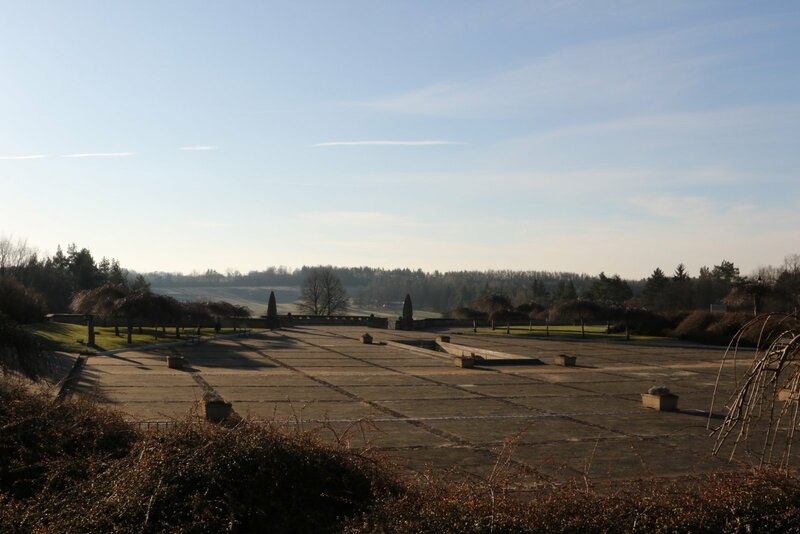 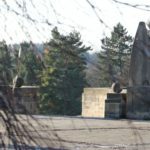 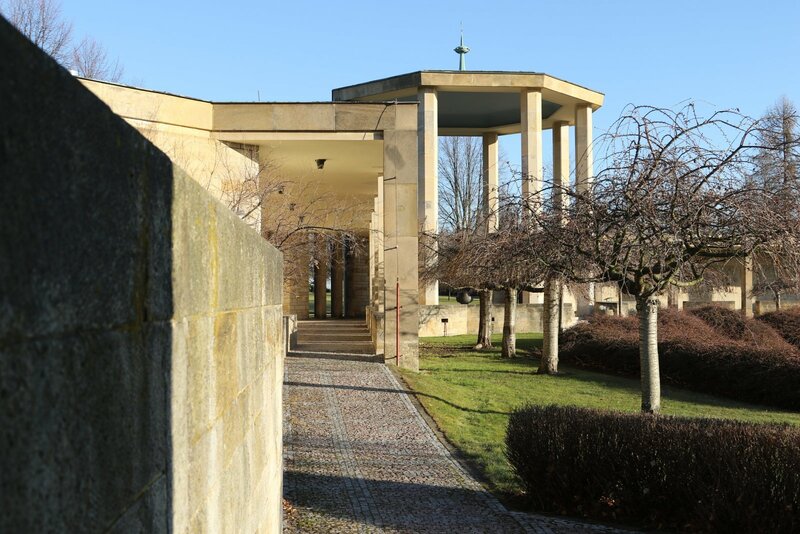 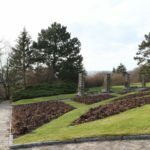 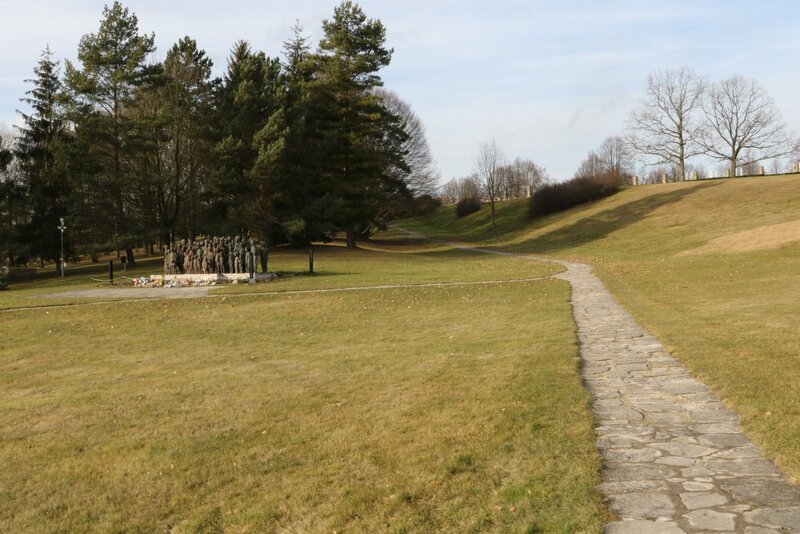 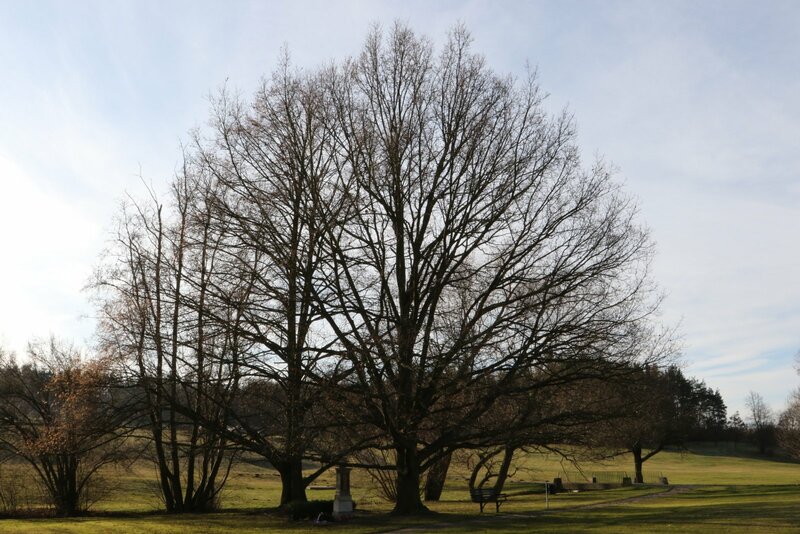 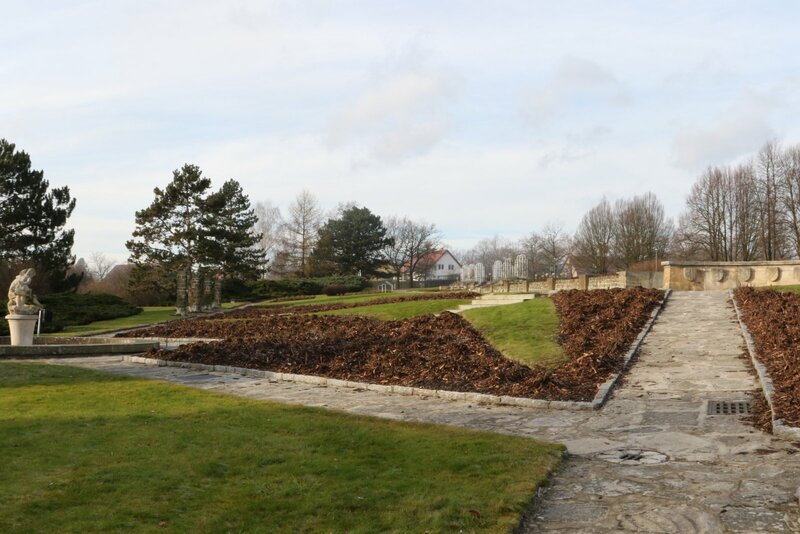 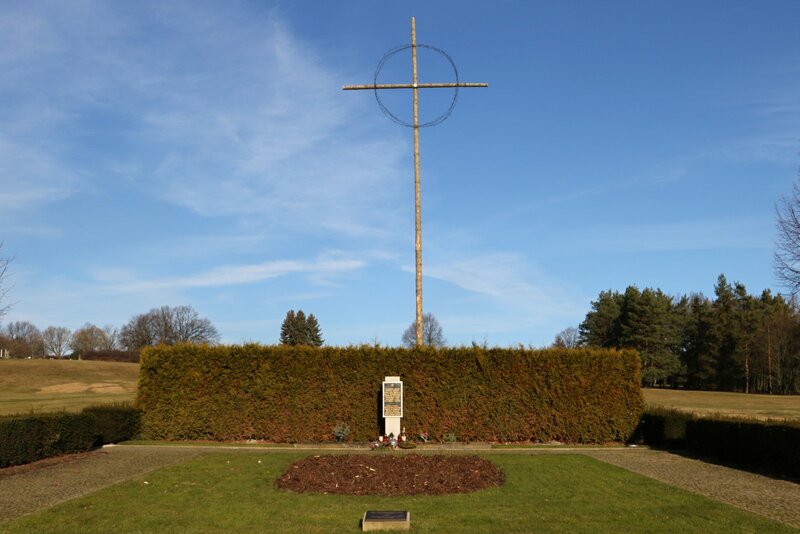 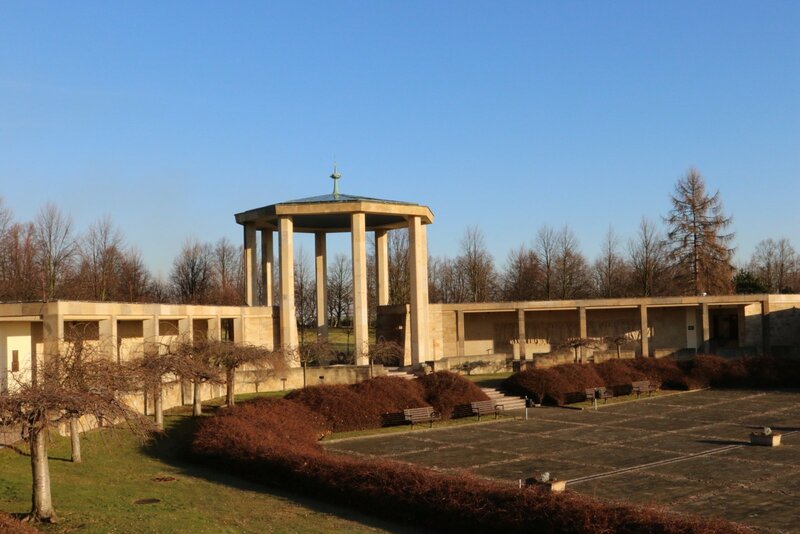 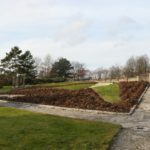 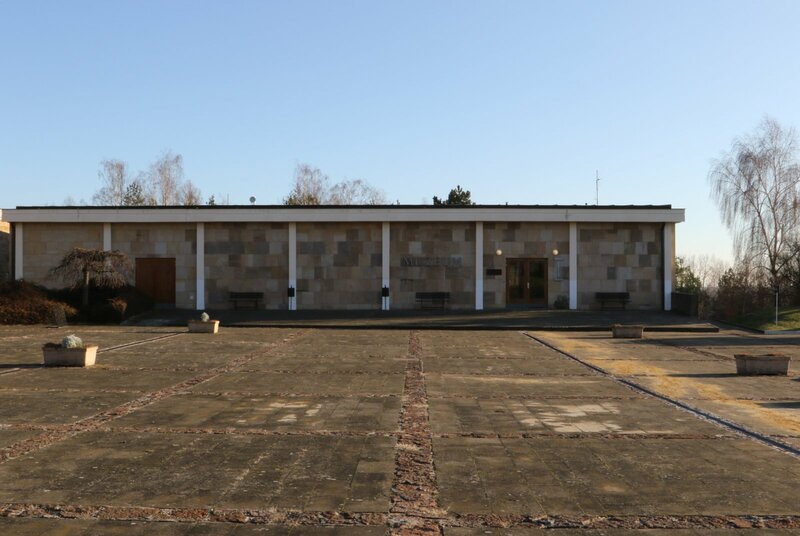 Feel free to use the pictures for non commercial use, please refer to the blog post address as the original source: https://www.european-transfers.cz/index.php/2017/12/15/step-by-step-through-the-lidice-memorial/.